By focusing our efforts on a face-to-face, relationship based marketing and consulting approach, we are able to bring our clients life-long customers with increased name brand recognition and high levels of customer loyalty. Our approach is able to reach 99% of our clients' target market. SlightEdge works with some of the most recognized and respected companies nationwide. 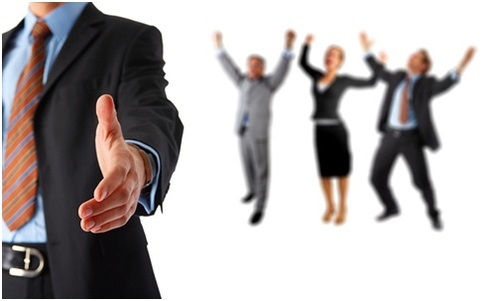 Our goal is to acquire and manage profitable customer relationships. Marketing is the process by which companies create value for customers and build strong customer relationships in order to capture value in return. SlightEdge enhances brand image and reputation for our clients through face-to-face consultations with integrity and professionalism. Our team is able to build and maintain profitable customer relationships by delivering superior customer value and satisfaction. Our clients benefit from our professional teams who will work on their behalf to institute immediate, widespread and aggressive campaigns. We have long-standing relations with major companies in telecommunications, merchant services, suppliers, retail energy. Indirect channels of marketing, such as television ads, radio ads, and direct mail, have created an increasing personal gap between the product and the consumer. Our firm bridges this detrimental gap by building lasting relationships through in-person contact with businesses. When compared to other forms of marketing, the benefits are invaluable. Through the use of courteous, professional, and service specific presentations, we create a positive and lasting impression. Our approach enhances brand loyalty, which translates into increased revenues and long-term success. These results in turn, have a domino effect: new corporate customers, reorders and customer retention. Being able to personally get to know our corporate customers allows us to help them make decisions on what will truly benefit them. Our marketing strategies prove to have the highest return on investment for our clients. We feel this directly correlates from our corporate customers appreciating the time and efforts that we put into a perfect balance of business and personal relationship building. At SlightEdge, we have an extraordinarily unique and effective method to help develop and grow your business. Our core resource in doing so revolves solely around the amount of effort, time and resources we put into growing our employees both personally and professionally. Each of our employees is given daily coaching and training in consulting tactics, communication skills, corporate presentations and customer rapport in order to consistently escalate the level of results we bring you. Our team members also learn and grow in areas involving time management, public speaking, training, personal finances and relationship building. We strongly believe that, the most effective strategy in providing beneficial productivity to you is by individually allowing our team members and managers to first master skills that they will then teach. This provides a win-win situation for the level of leadership and commitment we make to both our team members and your business. Find out about our methods, and the results of our innovative approach. Find out why our clients are knocking down our door to work with us.